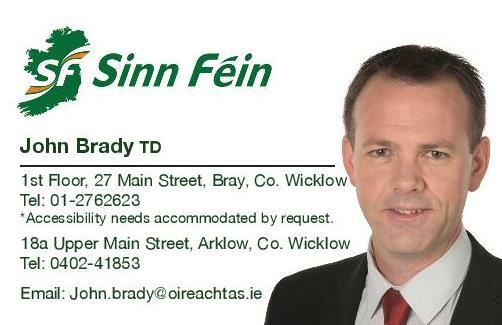 Sinn Féin TD for Wicklow and East Carlow John Brady has congratulated all involved in regaining the Blue Flag award for Bray Promenade after seventeen years. “I am delighted that Wicklow has retained the three Blue Flags awarded last year and also gained a Blue Flag for Bray South Promenade which will fly there for the first time since 2000. 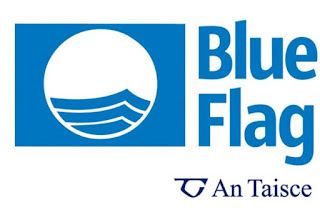 “This means that this year, Blue Flags will fly over Brittas Bay South Beach, Brittas Bay North Beach, Greystones and Bray South Promenade. “When I was Chairperson of Bray Municipal District one of my key objectives was for Bray to regain the Blue Flag which has now been delivered. “I want to congratulate and commend all those involved in making this happen particularly, the great effort that went into regaining the Blue Flag in Bray after seventeen years. “Today is a great day for Wicklow and we should be very proud to be recognised internationally for outstanding compliance with sewage treatment and bathing water quality criteria.